Dr.Malpani's Blog: Why did I get such poor quality blastocysts ? The easiest way of selecting embryos which have the highest potential of Implantation is by transferring them at blastocyst stage. Since many Embryos do not reach the Blastocyst Stage in the lab ( because they arrest in vitro) , this option allows us to select the best Embryos and transfer these, and thus increase your chances of getting pregnant. 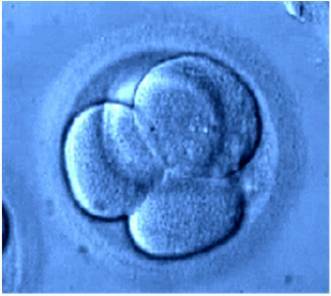 The limitation is that since not all the embryos will grow and develop to form blastocysts, we may not be able to do a Day 5 Transfer for Patients who have very few Eggs to start with. This means that we may end up with having no embryos at all to transfer for them. Blastocyst conversation rate for top quality Day 3 embryos is about 40 %. 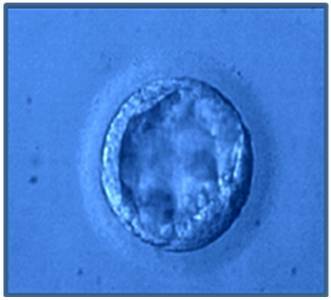 This means that if there are 10 top quality Embryos on day 3 (i.e 8-cell Grade A), then about 4 are expected to become blastocysts by day 5. Patients who undergo donor Egg cycle, where we use Eggs from a young fertile donor, who usually produce lots of good quality Eggs, usually have more high quality Blastocysts. In some patients we see very low blastocyst conversion rates. In some patients the low blastocyst rate is associated with low AMH levels, poor ovarian reserve and fewer Eggs. As these patients, usually start off with few eggs, they have a low fertilisation rate, poor grade Embryos and eventually poor blastocyst conversion rates. This is a continuum of poor reproductive performance, which may be related to poor mitochondrial function in their eggs. However, in some good prognosis patients (good AMH levels , lots of Eggs, and plenty of high quality Day 3 embryos) , where we expect to get a good blastocyst conversion rate, we sometimes see that we eventually get very few blastocysts, and this can be very disappointing and disheartening. The problem starts only after day 3. Many embryos stop growing ( they arrest), while only a few ( approximately 20% or less) reach the blastocyst stage on Day 6. 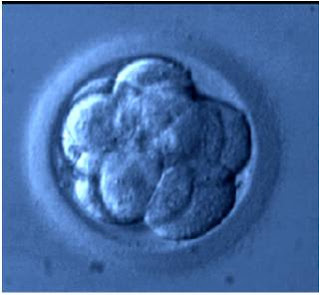 In some patients , none of the embryos become blastocysts, even though they grew very well until day 3. The Late paternal Effect is the reason behind the poor blastocyst formation in these patients, even though they had a promising performance until day 3. What is Paternal Effect ? While eggs have a much more important role to play in embryo development, the sperm contribute at two different times. These are called the "early paternal effect" and the " late paternal effect". During fertilization, the sperm transmits nuclear DNA and oocyte activation factor (OAF) through its Acrosome (a Cap like structure on head of the sperm) which is critical for fertilization. If the sperm doesn’t have an acrosome (such Sperms are called “round head sperms” or globozoospermia ), the oocyte is not activated and it fails to fertilise. Thus , total failure of fertilisation in IVF and ICSI ( when there are lots of eggs is because of a sperm problem). However, once fertilization occurs, further development is entirely managed by Egg. The division of Cells is powered by the energy provided by the mitochondria in the Egg. 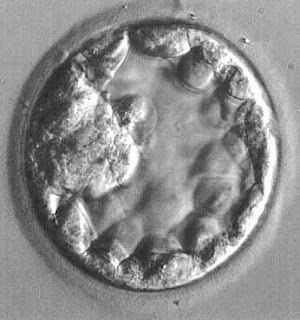 This the Embryos reach 8-cell stage, it is the egg which drives the process and the sperm only play the role of kick starting the process. The Paternal genome is switched on only after the embryo reaches the 8-cell Stage , which means it does have an influence of subsequent development - to blastocyst formation . This means the Sperm DNA comes into play only after the 8-cell stage. This means sperm with damaged DNA ( abnormal DNA Fragmentation) doesn’t have any impact on Early Embryo Development (on Day 1, Day 2, Day 3). Sperm carrying damaged DNA can complete the initial process of fertilization; however, the developmentally necessary genes in the damaged sperm DNA may hinder embryonic development upon activation of the embryonic genome at the 8-cell stage, which results in failure of blastocyst formation or poor quality blastocyst formation. Labs have tried to diagnose Sperm DNA damage using DNA FRAGMENTATION tests, but these tests are not accurate or reliable. This means we usually learn about it the hard way - during the IVF cycle, when the 8-cell embryos do not form as many blastocysts as expected. 2. When patients Embryos grow well till day 3 and then start to deteriorate.